Worshipful Company of Educators – 109th Livery Company in the City of London. Supporting excellence in educators. Congratulations to Freeman David Barker – winner of the 2019 Herald’s Award. Given by the Court of the Company of Public Relations Practitioners to honour those who in the opinion of the court made a significant contribution to the charity sector. David has tirelessly worked to form and deliver the Livery Schools Link Volunteering Platform. Useful information about the City of London via the March 2019 Livery Link – Pan Livery Initiative & Lord Mayor’s Report. Educators – Fishmongers – Prisoners’ Education Trust Seminar: Fishmongers’ Hall, London Bridge, EC4R 9EL More details to follow. 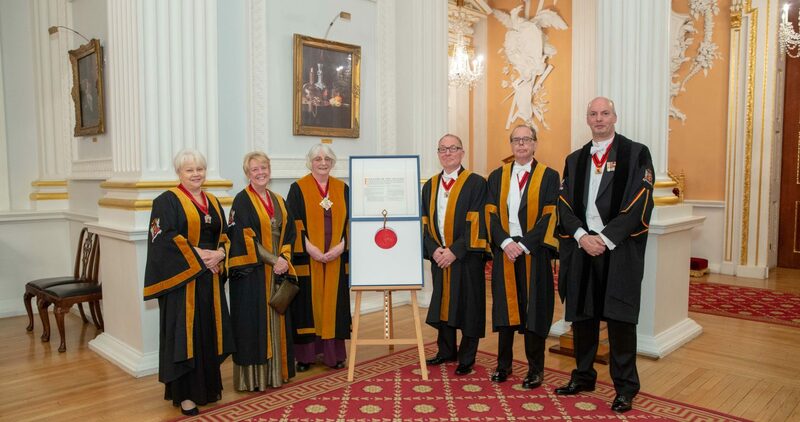 The Worshipful Company of Educators is the 109th Livery Company to be granted this status by the City of London. It was founded in 2001 within the philanthropic tradition of the City of London livery companies. It provides a forum through meetings and social occasions to bring together members from all parts of the education world to discuss and exchange views on matters of topical interest. The Company also operates a charitable fund to support individuals and projects that develop the process of learning and its management, encouraging and rewarding those individuals through appropriate grants, awards and medals. In pursuit of these aims, the Company is inclusive in its membership and activities, transcending the traditional boundaries between the different sectors, and particularly between academe and business insofar as the latter concerns itself with education, training, and development. It believes that it is unique in providing this cross-sector forum. Furthermore, “Education” is lifelong learning – from cradle to grave – a dynamic process needing investment of money, time, energy and enthusiasm. Please browse our pages and if you wish to contact us do so using the details on the contact page.